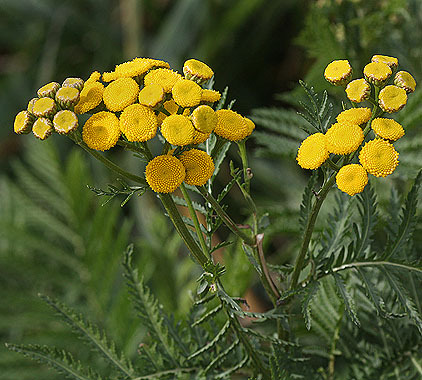 Common Tansy is easily identified by its clusters of yellow, button-like flower heads. Leaves are pinnately divided with toothed leaflets. Plants grow to about two feet tall. 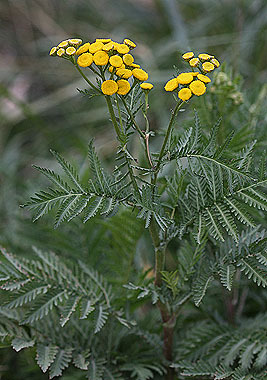 An escaped ornamental that can invade natural areas, Common Tansy is a noxious weed that should be controlled aggressively before it becomes established.